Make 4 payments of $3.45 over 8 weeks and get it now! 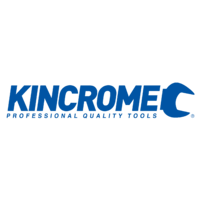 For KINCROME Professional Quality Tools, you can make a claim under Kincrome's express warranty for the replacement or repair of products which have faulty workmanship or materials for the ‘lifetime' of the product. 'Lifetime' of the product may vary from product to product. For KINCROME Equipment and SUPATOOL AIR™ products you can make a claim under Kincrome's express warranty for the replacement or repair of products which have faulty workmanship or materials for 12 MONTHS from the date of purchase. b. provide Kincrome any further information when requested. You are responsible for all costs incurred by you to return the Kincrome Product to Kincrome and all other costs you incur in making a claim under this express warranty. 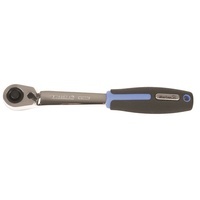 Before making a claim please read our Warranty information and how to care and maintain your tools. All products must be returned to the place of purchase, any authorised Kincrome service agent or one of Kincrome's other addresses, with a confirmed register receipt or invoice clearly showing the date of purchase prior to freight. Kincrome may, at its absolute and unfettered discretion, accept any Goods submitted for return by the Purchaser and subject to any conditions Kincrome wishes to impose on such a return. No returns of the Goods will be accepted by Kincrome unless those Goods are returned unused and in a re-saleable condition. If Kincrome agrees to accept the returned Goods from the Purchaser, the Purchaser accepts that it shall be responsible for payment of all transportation and freight costs in having the Goods returned to Kincrome. 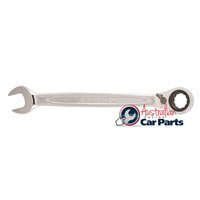 If you make a claim under this express warranty and none of the exclusions set out above apply, Kincrome Australia Pty Ltd will at its election, repair or replace the Kincrome Product under warranty and return the repaired or replacement product to the purchaser at Kincrome's costs. All repairs conducted on KINCROME products under this express warranty must be carried out by an authorised nationwide Kincrome service agent. Details of these authorised service agents can be found in the specific product manuals or from Kincrome on request. 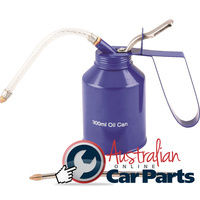 If you have any queries, please contact Australian Online Car Parts on (02) 4232 2181 for further information. 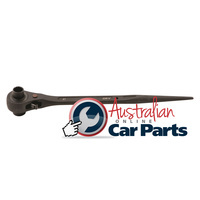 Help other Australian Online Car Parts users shop smarter by writing reviews for products you have purchased. Make 4 interest-free payments of $41.78 fortnightly and receive your order now.